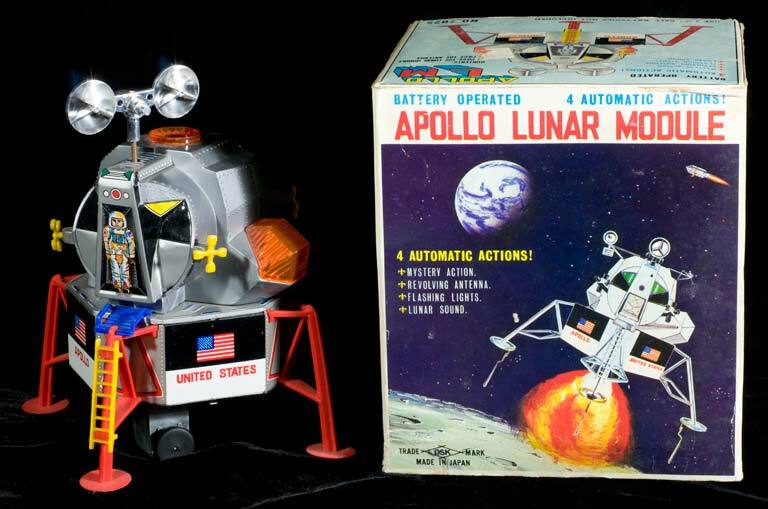 A lunar module toy ca. 1969 in the 5 x 5 x 7.5 inch size. Made in Japan by DSK (Daishin). This was also available in a larger 7 x 7 x 9.5 inch size. 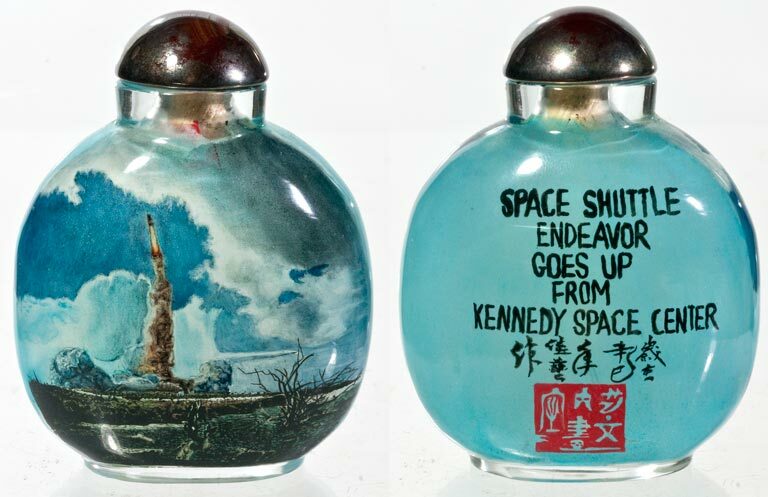 A wine container for an Italian red wine made in honor of our flight around the moon (Apollo 8). 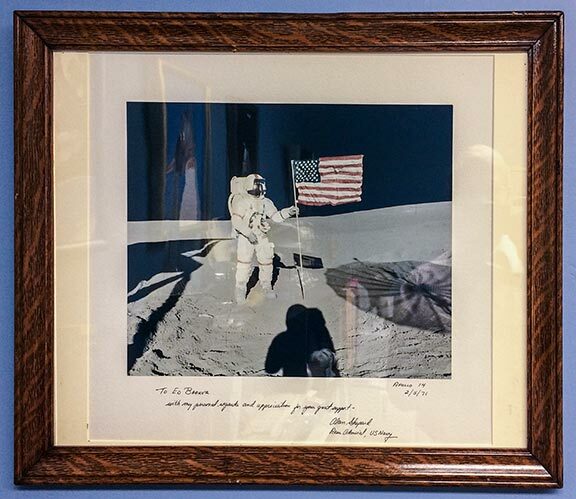 Original photograph of Buzz Aldrin setting up the solar sail on the moon from Apollo 11. 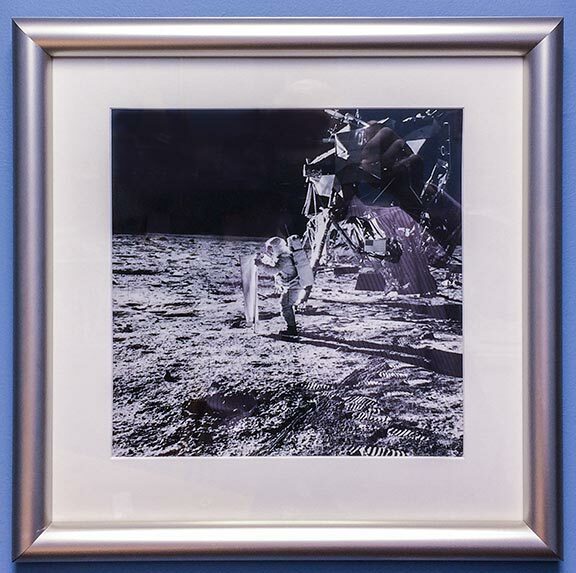 Taken by Neil Armstrong with the square format Hasselblad camera. A rare 1969 Apollo 12 button. A very rare 1972 Apollo 16 button. 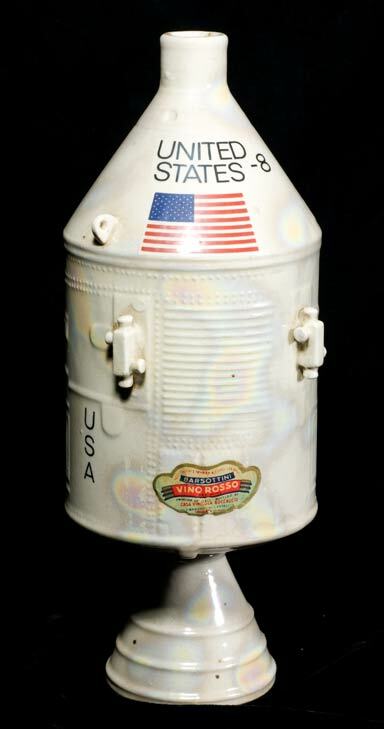 An unusual English/Russian Apollo-Soyuz button. Books #3 on Flashlights, Picture Frames & Halley's Comet | Ghosts In The Cemetery| Waffle Recipies| Links Copyright 2008-2019 by Stuart Schneider. Do not use any parts of these pages without written permission.